He would totally register for some plain, simple dishes. Now what would best compliment those? Well some plain white dinner napkins. But these are more classic, so let's add a twist to them to really personalize the gift! This is more my style. Clean and simple but with a punch of whimsy and color. Want to learn how to make them? Create tassels by wrapping embroidery floss around your fingers, as shown above. I did mine 10 times, you could do more or less depending on how dense you want your tassels to be. Slide the loops as one off your fingers and cut the tassel from the skein of floss. Cut an extra piece of floss about 4" long or so. Tie it into a knot around the top of the loop, just below as shown. Pull the ends down to become part of the tassel, cut the bottom loop and trim the ends so they're all even. Repeat for a second tassel. Please note, I made two tassels per napkin. You could do as few or as many as you'd like! Make 4 - one for each corner! Or make just one! Once you've made all the tassels you'd like, gather the napkins, tassels and the matching embroidery floss as well as your needle. Thread your needle with about 12" of floss and knot the end. Insert through the corner seam and then out so the knot is hidden. Add your first tassel, and sew back through the same way you started a few times to secure it on. Knot your thread and snip the excess. Repeat for your other tassel! Voila! So cute and whimsical! I love this easy way to spruce up some plain napkins and who wouldn't love a personalized gift like this? This is why I love the Be Yourself, Together campaign that Target is featuring for its Target Wedding and Target Wedding Catalog. It really inspires you to think about the couple together yet still as individuals and I think that is fabulous! Disclosure ~ I was provided a gift card to purchase the item of my choosing to pair with the other, higher ticket item. I used the gift card to purchase the napkins shown and used in this tutorial. 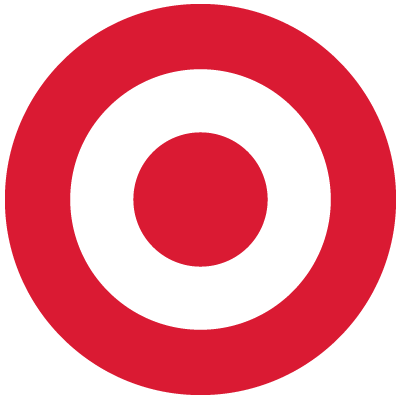 You should know by now that I love Target and would never endorse a company or brand that I don't personally love! Thanks for supporting the sponsors that make Smart n Snazzy possible!